The Investec Value Fund aims to create wealth for our clients over the long term through active management and a value investing approach that is bottom-up driven and valuation biased. John Biccard provides an update on the fund, covering performance, positioning and outlook. 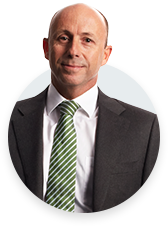 John Biccard talks to Lindsay Williams about the Investec Value Fund. A proven track record and deep value investment style that has delivered performance over the long term. *Inception date: 02.04.00, A class. Source: Morningstar, as at 31.12.18. Returns are calculated on a NAV-to-NAV basis, net of A class fees, with gross income reinvested. Market indices are gross of fees. Benchmark: 87.5% FTSE/JSE All Share Index (ALSI) + 12.5% MSCI AC World NR (ACWI). Highest and lowest 12-month rolling performance since inception* is 87.4% (31.07.16) and -28.2% (28.02.09) respectively.